Kerry Washington along with co-star Steven Pasquale attended the opening night party for their new Broadway play American Son on Sunday night (November 4) in New York City. She wore a Zuhair Murad Pre - Fall 2018 gown. 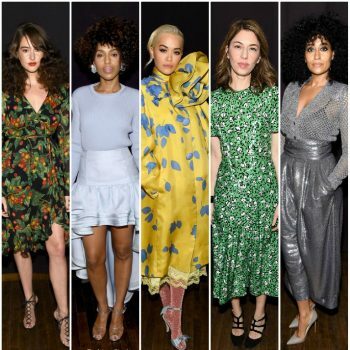 Kerry Washington attended the Broadway Loyalty Program Audience Rewards 10th Anniversary celebration on Monday (September 24) in New York City. 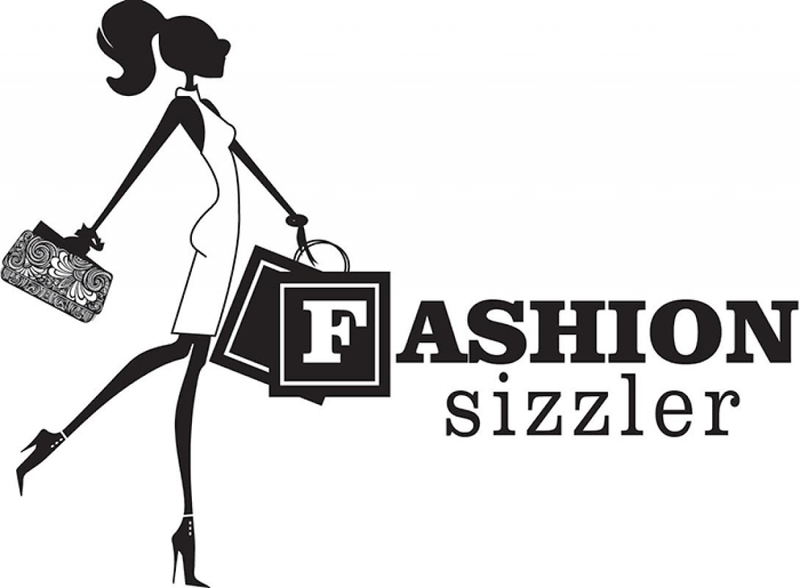 She wore a burgundy Zeynep Arçay dress. 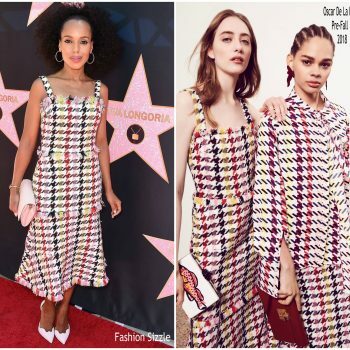 Kerry Washington wore a Missoni maxi dress to Twitter's Here We Are brunch and conversation during Cannes Lions 2018. 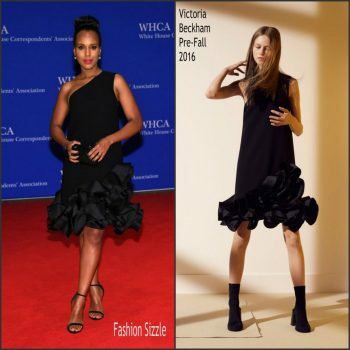 Kerry Washington wore an Alexandre Vauthier Spring 2018 black leather and fuchsia sequined mini dress to the 2018 Vanity Fair Oscar Party. 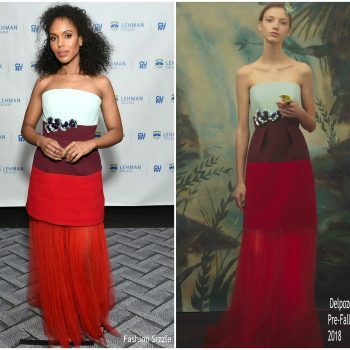 Kerry Washington attended the 2018 Producers Guild Awards in Los Angeles on Saturday (January 20). 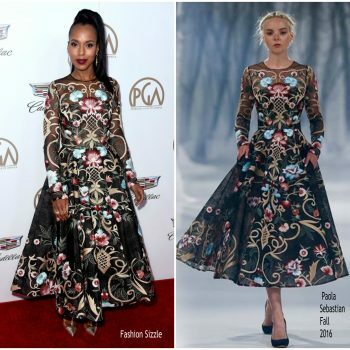 She wore a Paolo Sebastian Fall 2016 gown styled with jewelry feom Graziela Gems, Effy Jewelry and EF Collection. 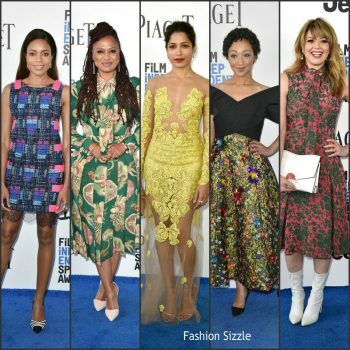 Kerry Washington attended the the Scandal panel held during the Vulture Festival LA on Saturday (November 18) at the Hollywood Roosevelt Hotel in Hollywood. 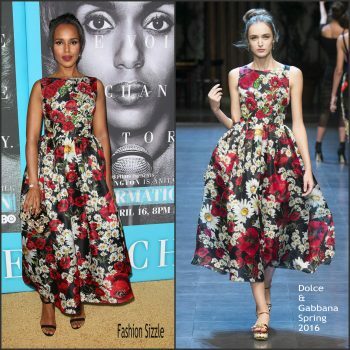 She wore a Altuzarra Spring 2018 RTW dress. 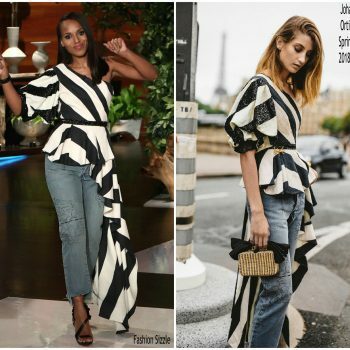 Kerry Washington made a guest appearance at ‘The Ellen DeGeneres Show’ on Thursday (November 2) She wore a Johanna Ortiz Spring 2018 design styled with Christian Louboutin ‘Colankle’ heels. 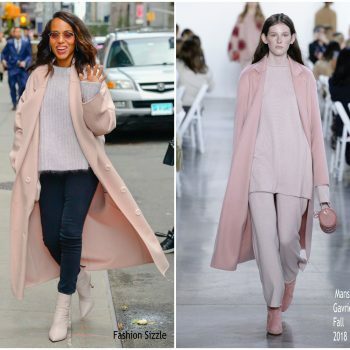 Kerry Washington made a guest appearance on (October 5) at the ‘Good Morning America’ studios in New York . 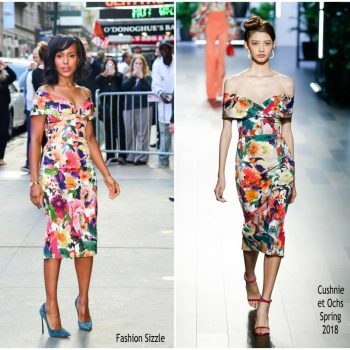 She wore a Cushnie et Ochs Spring 2018 dress styled with Casadei suede pumps . 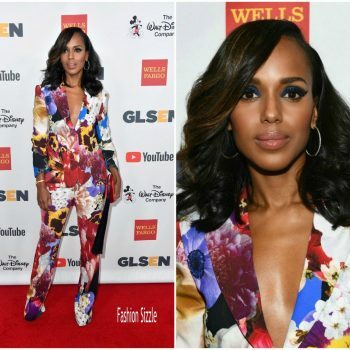 Actor Kerry Washington attended the Women Making History Awards at The Beverly Hilton Hotel on September 16, 2017 in Beverly Hills, California. 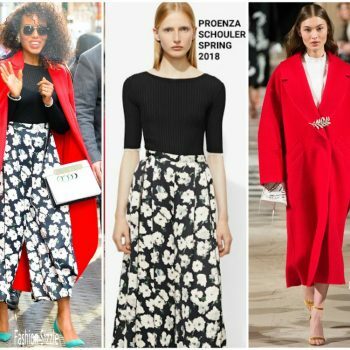 She wore a Carolina Herrera Spring 2018 polkadot design. 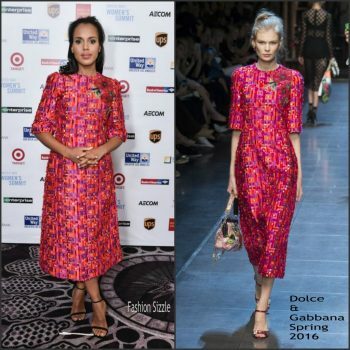 Kerry Washington attended the premiere on Saturday (June 10) at the Anaheim Convention Center in Anaheim, Calif. She wore a pink Oscar De La Renta pink dress styled with a Sophia Webster clutch. 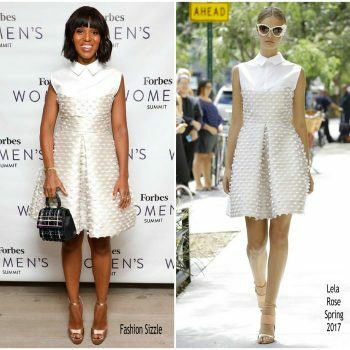 Kerry Washington wore a colorblock Delpozo Fall 2017 dress for an appearance on Live with Kelly & Ryan show. 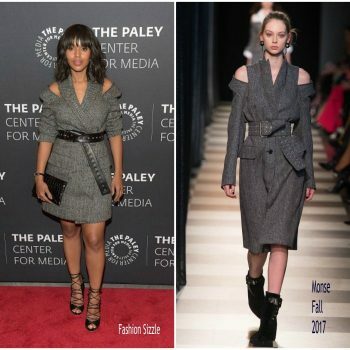 Kerry Washington wore a Monse Fall 2017 dress to The Ultimate 'Scandal' Watch Party at The Paley Center for Media. 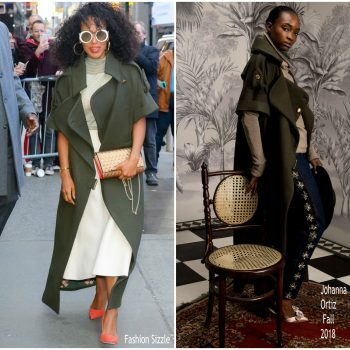 Kerry Washington made a guest appearance on Good Morning America to promote Scandal. 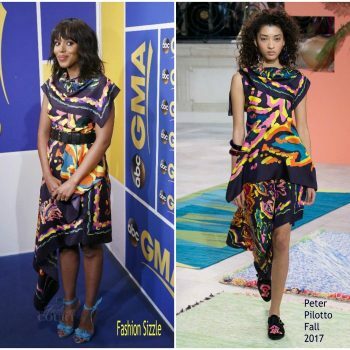 She wore a Peter Pilotto Fall 2017 printed dress. 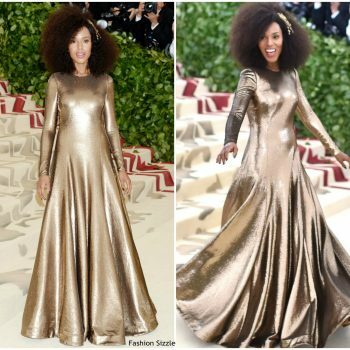 Kerry Washington attended the Bronx’s Children Museum Gala on Tuesday night (May 2) at the Tribeca Rooftop in New York City. 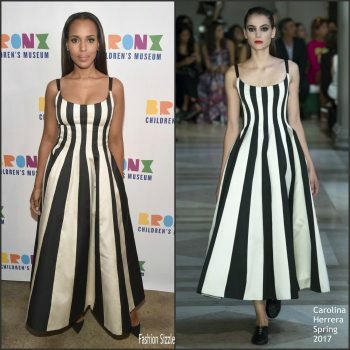 She wore a Carolina Herrera Spring 2017 bicolor striped dress. 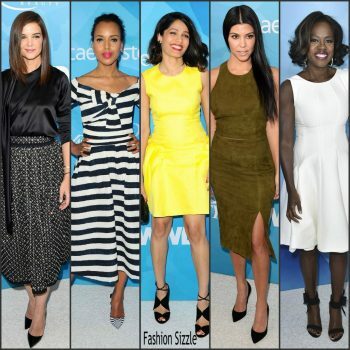 Kerry Washington was in attendance at ABC’s 100th episode celebration for ‘Scandal’ on Saturday (April 8) in West Hollywood, California. 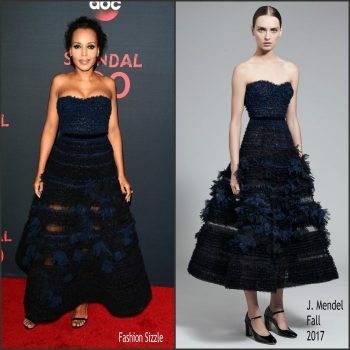 She wore a navy J. Mendel Fall 2017 dress styled with black sandals. Kerry Washington made a guest appearance on ‘The Late Late Show With James Corden’, alongside Alec Baldwin. She wore an orange Elie Saab Spring 2017 lace dress. Actress Kerry Washington attends the 48th NAACP Image Awards at Pasadena Civic Auditorium on February 11, 2017 in Pasadena, California. 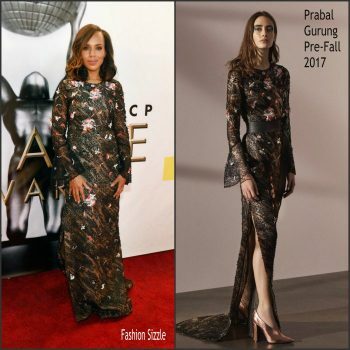 She wore a Prabal Gurung Pre-Fall 2017 embroidered gown . 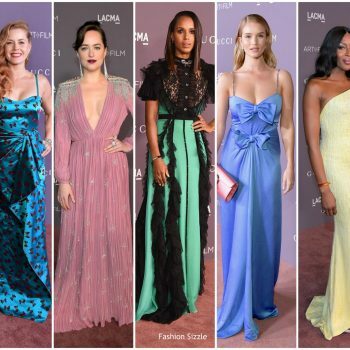 Kerry Washington attended the 69th Annual DGA Awards. 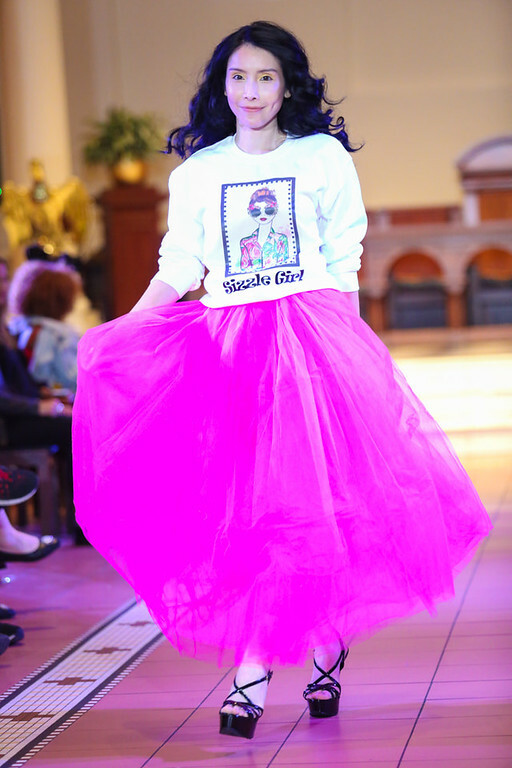 The ceremony held on Saturday, February 4, 2017 at the Beverly Hilton in Beverly Hills. 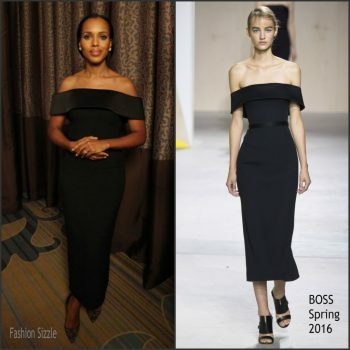 She wore a black Sally LaPointe Resort 2017 dress. 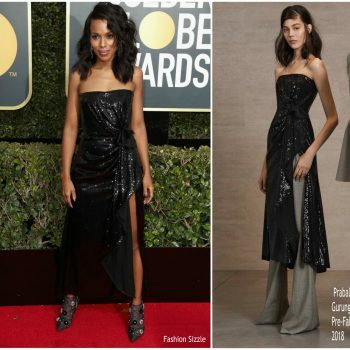 Kerry Washington attended the 28th Annual Producers Guild Awards at The Beverly Hilton Hotel on January 28, 2017 in Beverly Hills, California. 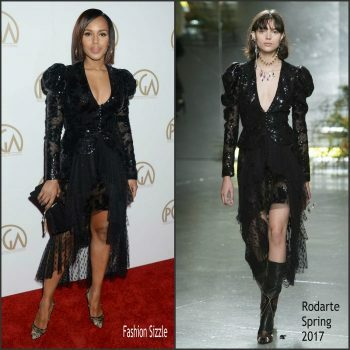 She is wearing a a black Rodarte Spring 2017 dress. 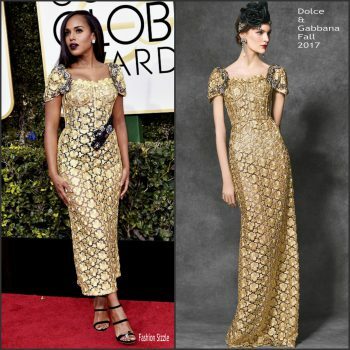 Kerry Washington attended the 74th Golden Globe Awards on Sunday, January 8, 2017, in Beverly Hills, CA. 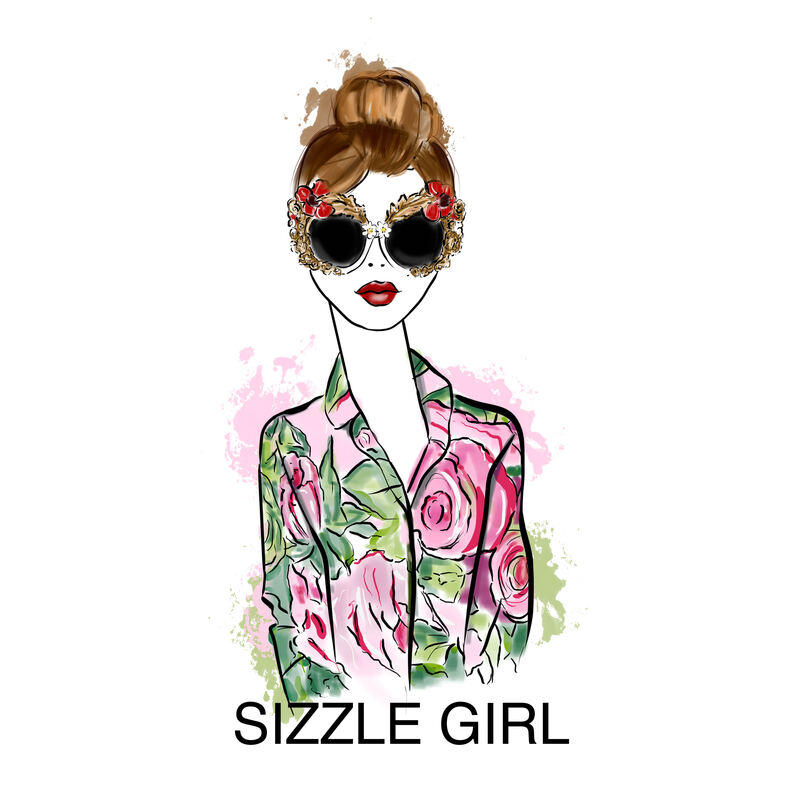 She wore a gold Dolce and Gabbana Fall 2017 dress. 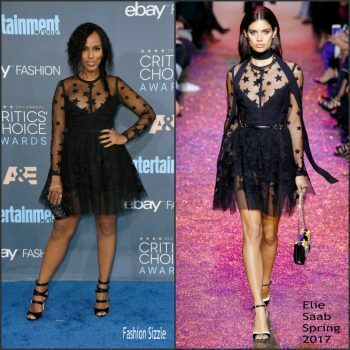 Kerry Washington attended the 22nd Critics’ Choice Awards on Sunday, December 11, 2016, in Los Angeles, CA held at the Barker Hanger in Santa Monica, Calif. She wore a black Elie Saab Spring 2017 star motif dress. KerryWashington Kerry Washington attends “Scandal-ous!” event hosted by the Smithsonian Associates at the University of District of Columbia Theater of the Arts in Washington, DC. 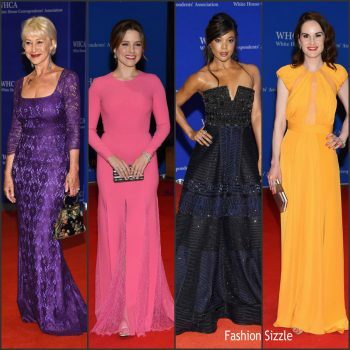 Kerry Washington was in attendance at the 2016 White House Correspondents’ Dinner held at the Washington Hilton on Saturday (April 30) in Washington, D.C.
Kerry Washington attends the United Way of Greater Los Angeles Women's Summit on April 25, 2016 in Beverly Hills, California. Kerry Washington attends Times Talks Presents: Kerry Washington and Anita Hill “Confirmation” at The Times Center in New York City. 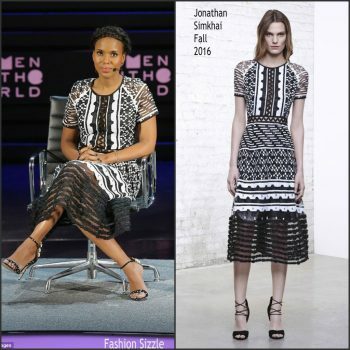 Kerry Washington attends The Lasting Impact of Anita Hill during Tina Brown’s 7th Annual Women in the World Summit at David H. Koch Theater at Lincoln Center in New York City. 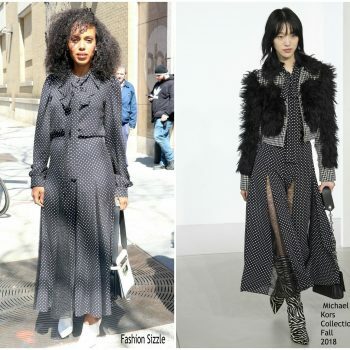 Kerry Washington heads to the NBC Studios for an appearance on “The Today Show” in New York City. 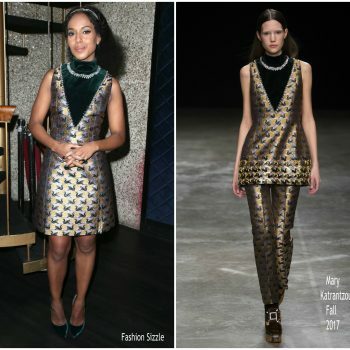 Kerry Washington attended the ‘Confirmation’ Screening in New York City on April 7, 2016. Kerry Wahington attended the HBO Films 'Confirmation' premiere at Paramount Studios in Hollywood, CA on March 31, 2016. The Los Angeles premiere of 'The Confirmation' held at NeueHouse Hollywood on March 15, 2016 in Los Angeles, California. 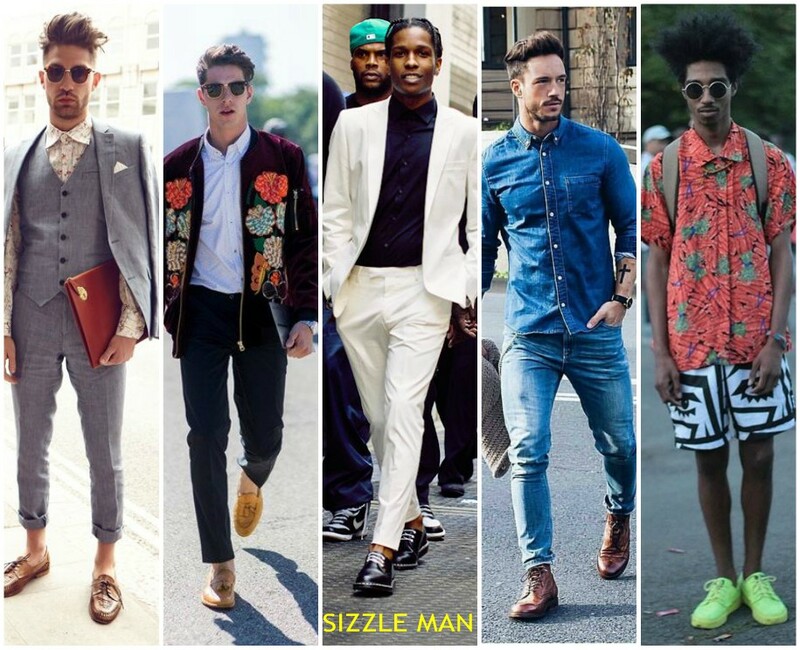 Below are the attendees. 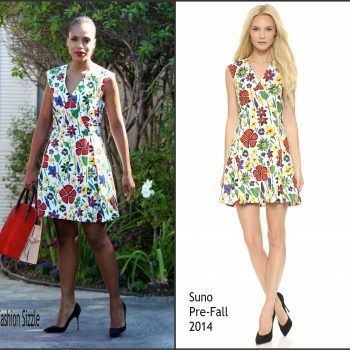 Kerry Washington attended the 2015 Baby2Baby Gala where she was honored on Saturday November 14 , 2015 in California. She wore a Giambattista Valli Fall 2015 Couture gown.